Summer is the perfect time for the modern gentleman to flaunt all that he has to offer. There is a fun and vibrant atmosphere on the streets and an exciting buzz in the air. So what better time to pack your schedule full of interesting and diverse events? First things first, get your wardrobe in order. Contrary to popular belief, you can still retain your gentleman allure without succumbing to the likes of revealing tank tops, flip-flops, Hawaiian-themed shorts or poor quality, gaudily patterned and t-shirts. Instead of such fashion disasters, keep in mind items like linen trousers, sports jackets, chinos and boat shoes. Of course, you should also never forget the value of classic men’s shirts, like these fine choices, which will keep you looking suave throughout the summer season. To crack the summer wardrobe, bear in mind a few simple tips; the modern gentleman never sacrifices style for body temperature. With style in mind, what caliber of events should you be seen at? As a rule of thumb, go for those that require a glass of champagne in hand! 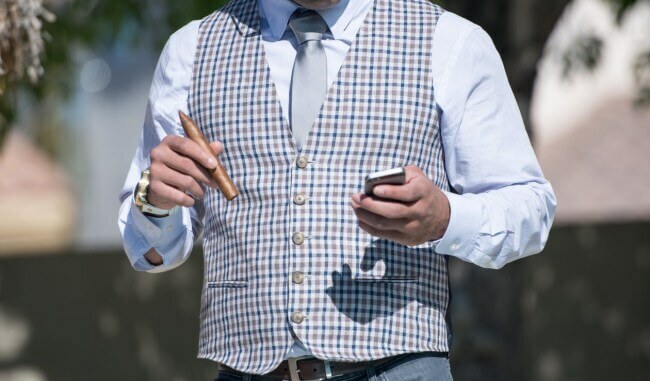 Horseracing and gentlemen go together like a good Cuban cigar and a superior cognac. What’s not to love about spending the day in the sun in all your finery, drinking champagne and rubbing shoulders with all the movers and shakers? There is of course the gambling aspect too – this is what keeps you coming back for more. Once you’ve developed a feel for the process, and once you know the specific breeding of the competing horses, you’ll find you have a lot more invested in this stylish event. Nothing says gentleman more than a regatta. Take the UK for example, the Henley Royal Regatta attracts millions of gentlemen worldwide every year to a small town on the outskirts of London. Here you have the choice of opting for a regatta enclosure or wandering along the riverbank. With the royal family being regular attendees, what more do you need to be persuaded? Nothing quite beats a tennis championship for enjoyable summer events. Whether it’s the eternal battle amongst Nadal and Federer that attracts you, the strawberries and champagne, the social aspect, or simply observing the utter dedication of these athletes, this one is certainly a fun one for everyone. Choose your nearest championship and book your summer tickets right away.